Special offer: Save 10 € ! 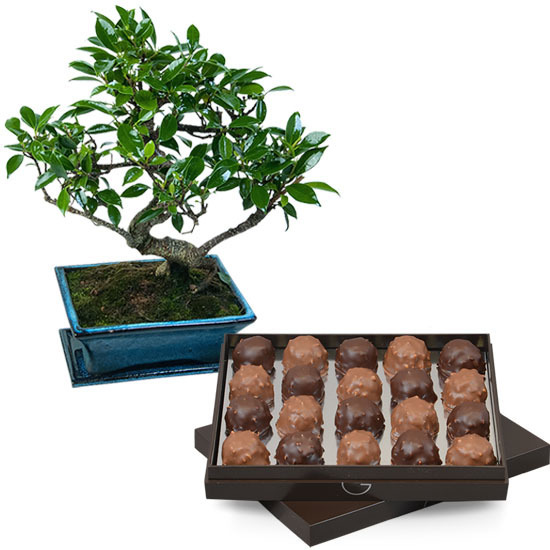 A delightful duo, composed of a bonsai ficus and a stylish box of mouth-watering rochers covered with premium quality Ecuador chocolate. Perfect for indoor gardeners and gourmets alike! 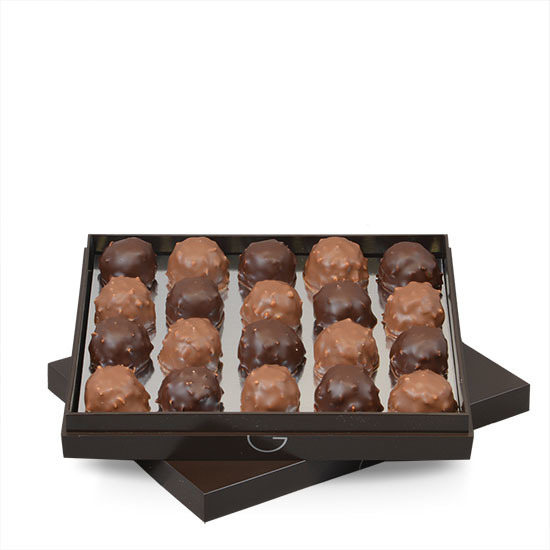 Our chocolate rochers should be kept in their original packaging, in a cool, dry place at room temperature. Composition: Sugar, Hazelnuts, Cocoa butter, Almonds, Whole milk powder, Cocoa, Lactose, Vegetable fats, Cocoa powder, emulsifier (Non-GMO certified soya lecithin), Salt, Flavouring.